If it is NF 1975 runes translated as follows “Ring (?) and Hulte (and) Fastger they raised this stone after Vigmar, their father, a good ship’s captain. Likbjörn carved. This stone was found in 1975 in the ground near the Hornska grave place. 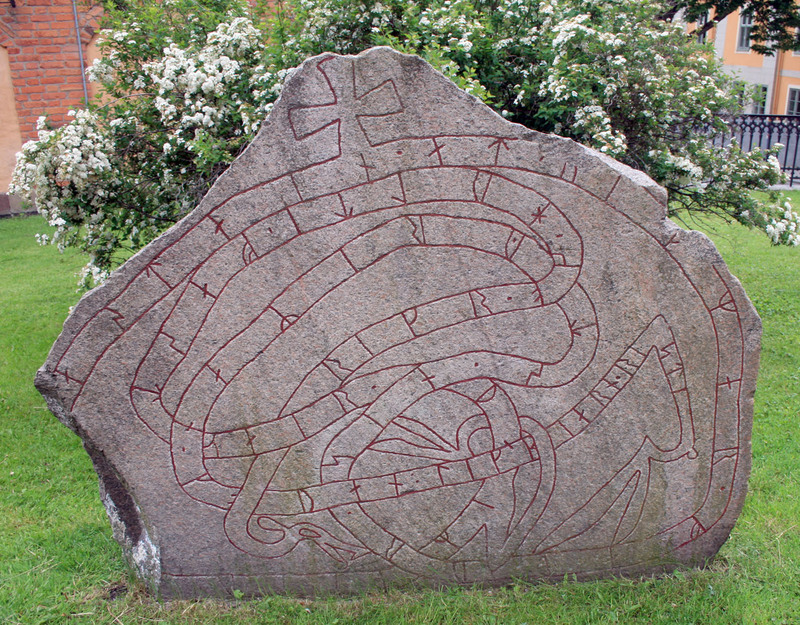 Likbjörn, who is not a distinguished rune carver, has also signed a stone in Rörby in Balinge parish.